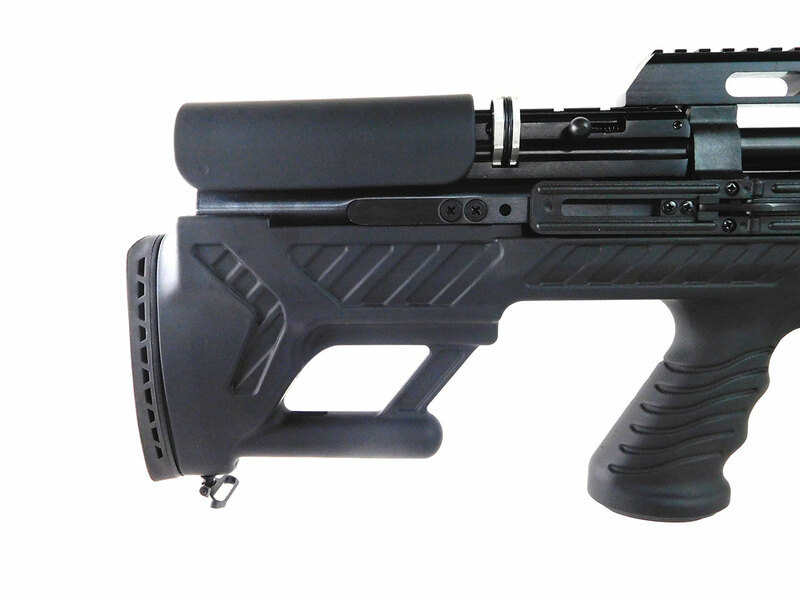 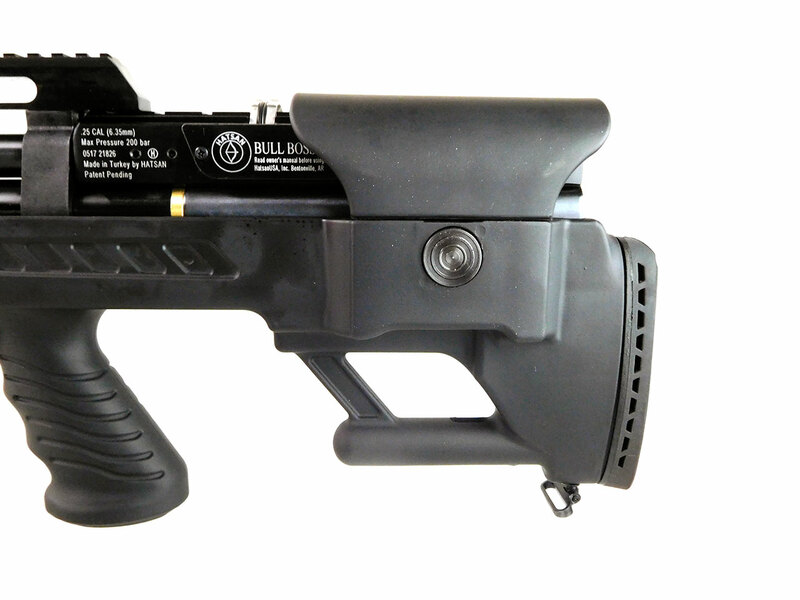 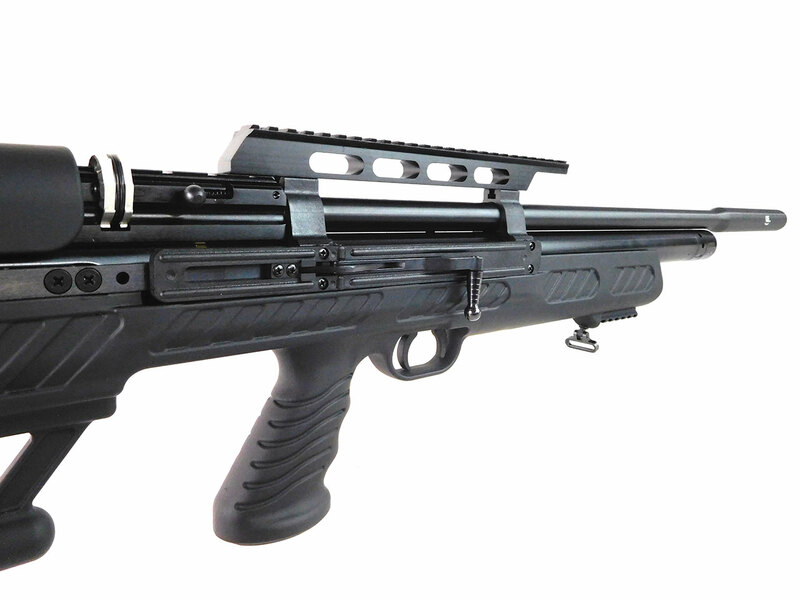 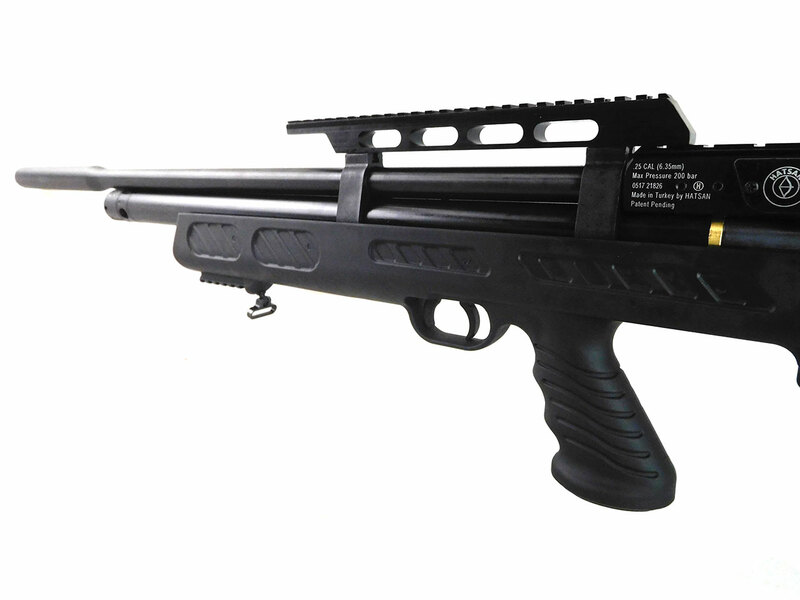 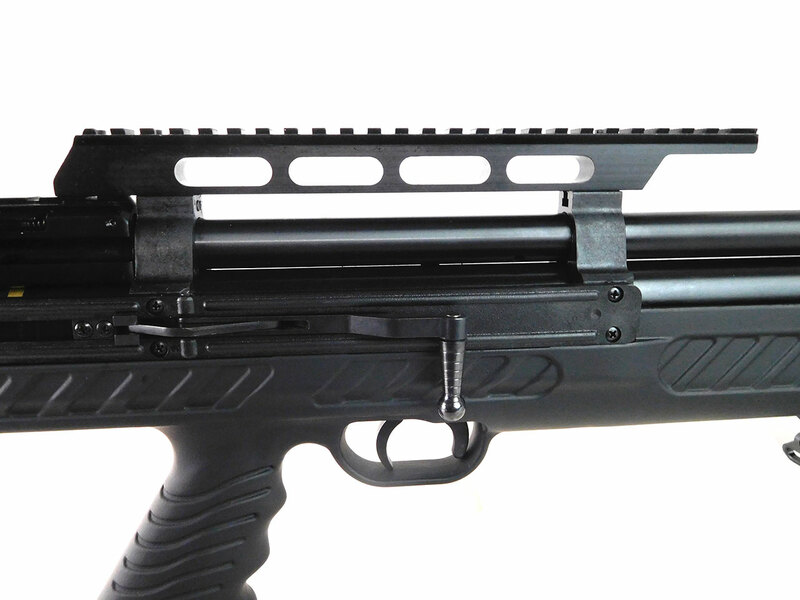 The Hatsan BullBoss is side-lever cocking PCP air rifle. 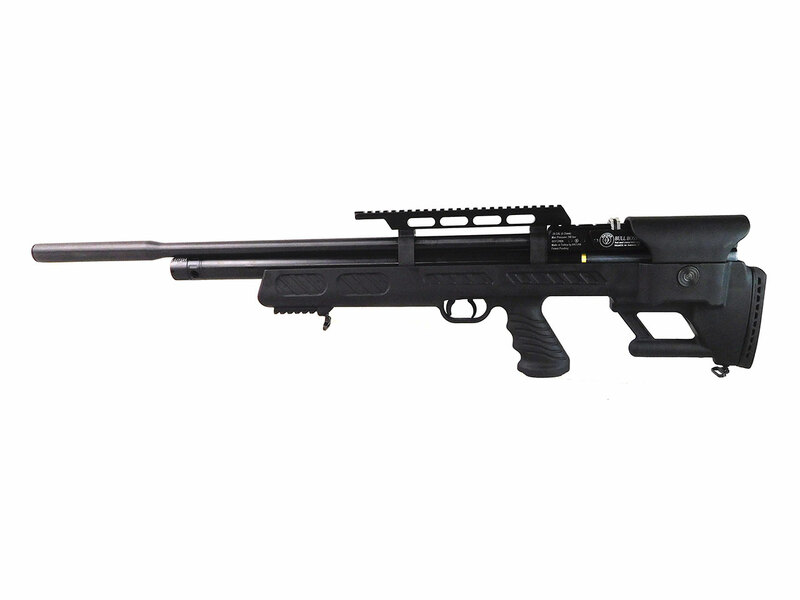 This one is in .25 caliber and includes five 9-round rotary magazine clips, fill probe, extra o-rings, a Hatsan sling, the original box and an owner’s manual. 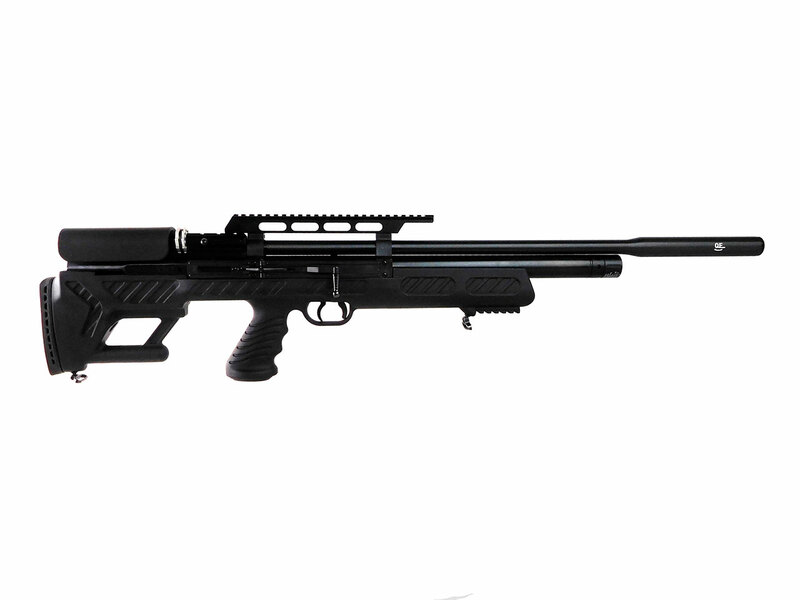 Velocity tested at around 875 fps using lead pellets. 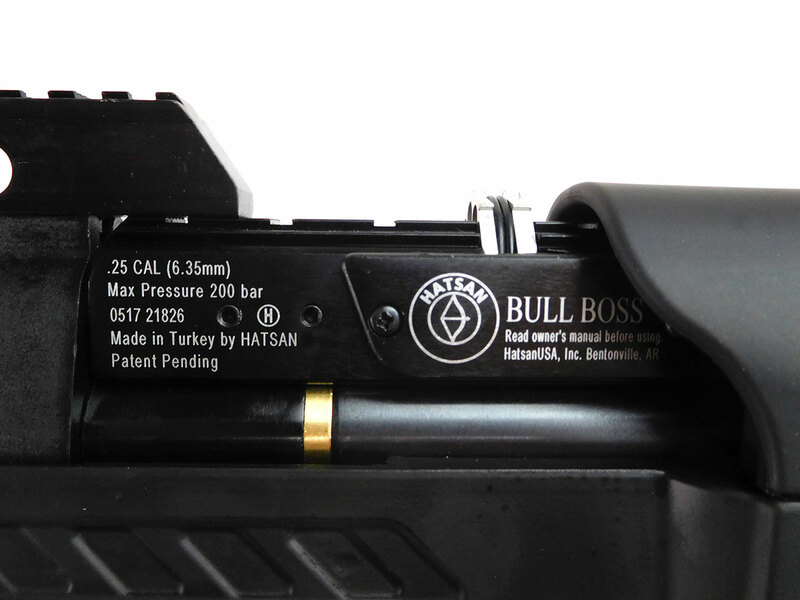 Detachable steel air cylinder tube (230cc).